The new treatment of choice. 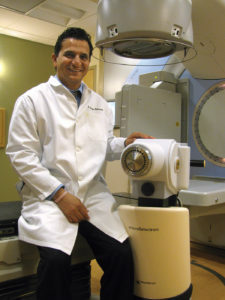 In the hands of experts, many of the world’s leading radiation oncologists are employing the unique capabilities of SBRT, providing the maximum precision and potency needed to treat a variety of aggressive cancers that have defied conventional radiation therapy techniques. El Portal Comprehensive Cancer Center uses this form of Radiation Therapy with “Elekta” Linear Accelerator to treat tumors in the lungs, liver, abdomen, pancreas, spine, and other areas of the body with pinpoint accuracy. Stereotactic radiotherapy is a high precision radiotherapy method in which a very high radiation dose is given to moderately large tumors. The meaning of the word stereotactic is that a specially designed coordinate-system is used for exact localization of the tumor in the body, and also to accurately pinpoint the X-ray beams to the tumor. By giving a very high radiation dose the chance to kill all cells in the tumor is high. • SBRT uses custom mapping to account for a patient’s anatomy, breathing and organ motion. • SBRT allows us to treat small tumors close to critical organs with less damage to surrounding healthy tissues. 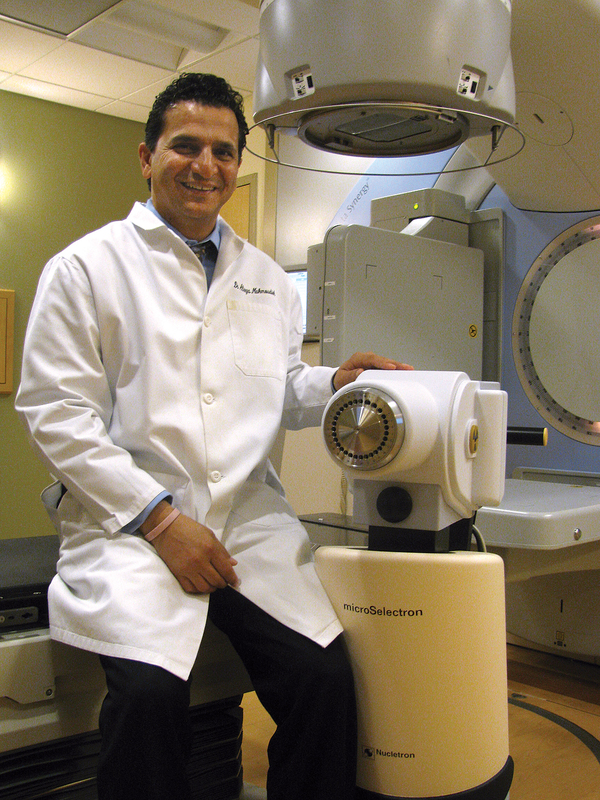 • With SBRT, we can deliver a single high-dose radiation treatment, so patients are often able to complete their treatment in a shorter time than with standard radiation treatment. Body radiosurgery is rare. We are able in only a few Centers of Excellence to immobilize and treat the body in a radiosurgical fashion, using high-level special technology. What is the data supporting the use of SBRT treatments? SBRT has shown dramatically better outcomes than conventional radiation therapy especially for early stage lung cancer, gastrointestinal tumors such as pancreatic tumors and liver tumors. There is convincing evidence from the United Stated, Japan, and Europe that SBRT may be as effective as surgery for early stage lung cancer. Two-year success rates for conventional treatment range from 30 to 40 percent, whereas the success rates for SBRT range from 80 to 90 percent comparable to surgical resection but with far fewer risks. It is certainly the treatment modality of choice for patients who are not able to undergo surgery to remove their tumors from either a medical or technical perspective.